14 3/4" overall. 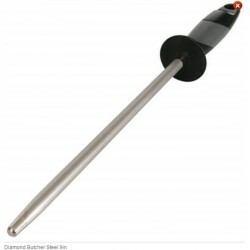 9" diamond sharpening rod. Black composition handle with gray rubberized grip. Enlarged lanyard hole. Hang packaged.